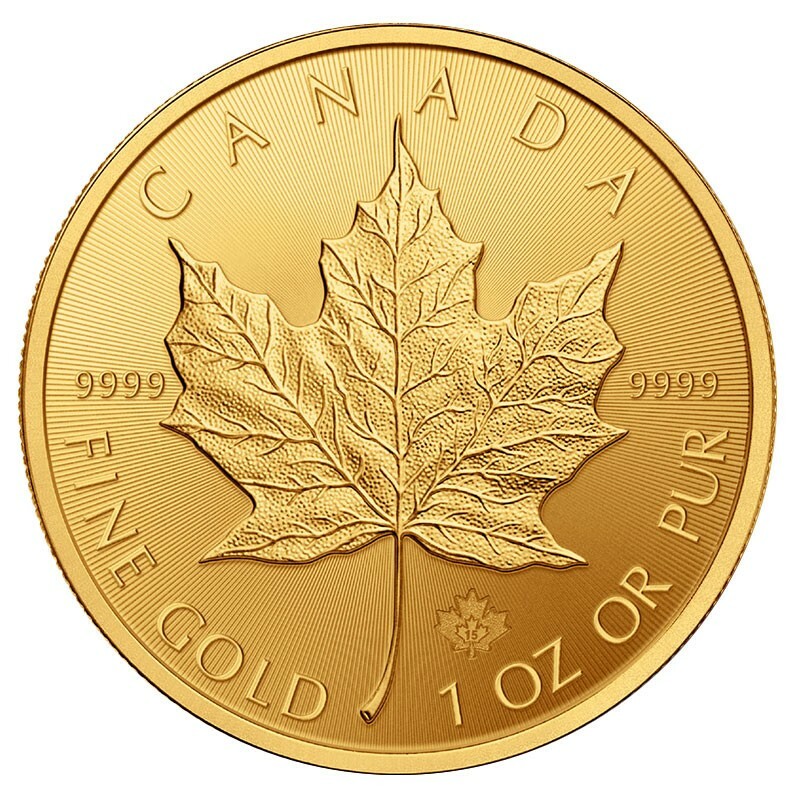 Produced by the Royal Canadian Mint, the Canadian Maple Leaf coins has created a must loved mint. Many actually consider the Canadian Maple Leaf to be one of the most beautiful Gold coins in the world. They are often compared to their sister coin - the Gold American Eagle of the US Mint. They are considered a solid investment, as Gold keeps its value over time, and it will always be in demand. 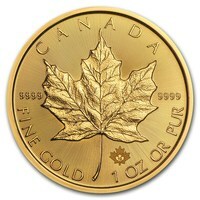 The obverse side of the Canadian Maple Leaf features Queen Elizabeth II. She is always featured on a coin from the Commonwealth. 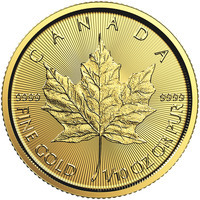 The reverse side of the coin features the iconic Maple Leaf - the international symbol of Canada.